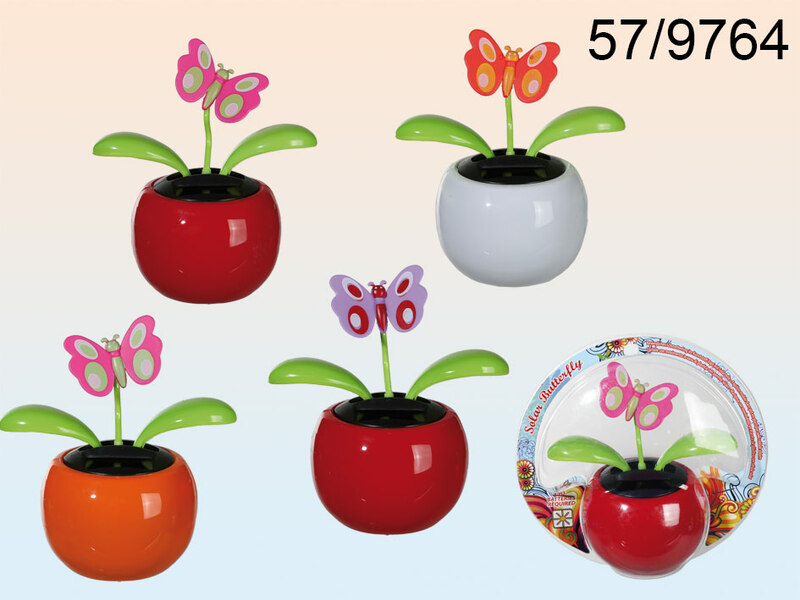 Colourful dancing flower with a butterfly in a pot. It does not need any batteries to work - it's powered by the Sun. The figurine moves thanks to the solar cell in the base. Made of plastic. Cheerful item for everyone. Home and office decoration. Casual gift idea. In transparent box. Size:13.5 x 13 x 6.5 cm.